Four different shows in store at three parks this weekend! Get ready for an incredible weekend of song and story as the Horner Park Advisory Council takes over all three of our performance parks for free entertainment, Friday to Sunday! Our BIGGEST Weekend ever starts Friday night August 17 at 7 PM in Ravenswood Manor Park with the fine traditions of the Windy City Bluegrass Band. Come out and enjoy some “old-timey” music brought by some of the finest purveyors of traditional Americana. This show is sponsored by Bloom Yoga and Pfaff, Gill & Ports, Ltd., and presented by the Horner Park Advisory Council. Next up comes our friends at Theatre Hikes performing their family-friendly version of Oscar Wilde’s The Importance of Being Ernest, considered his finest and funniest play. Catch their act on Saturday, August 18 at 1 PM in Horner Park. This performance is sponsored by the Horner Park Advisory Council. 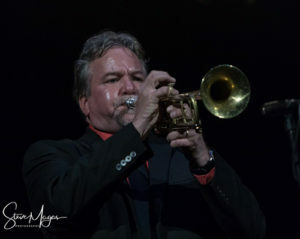 And that evening, again on Saturday, August 18, groove to the sublime riffs of the Rob Parton Jazz Trio, coming to Sunken Gardens Park (Virginia and Sunnyside) at 7 PM. This show is sponsored by the Horner Park Advisory Council. Finally, we are presenting the make up show (we had a rainout) of old friends Generation on Sunday, August 19 at 7 PM in Ravenswood Manor Park. 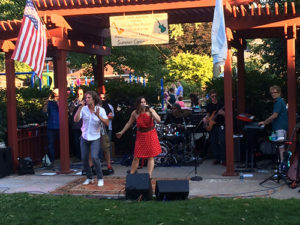 Enjoy the rock and horns of this great “60’s Experience Show.” This performance is sponsored by the Ravenswood Manor Improvement Association and Angelo’s Wine Bar, and presented by the Horner Park Advisory Council. It promises to be a spectacular weekend of free entertainment in our parks – don’t miss a note or a line! Subscriptions are still being accepted in support of the 24th Season of free concerts.